I’m sure every family has certain super special recipes which are famous among friends and relatives and with years of practice it actually becomes easier for you to cook and please guests. Same was the case with me. 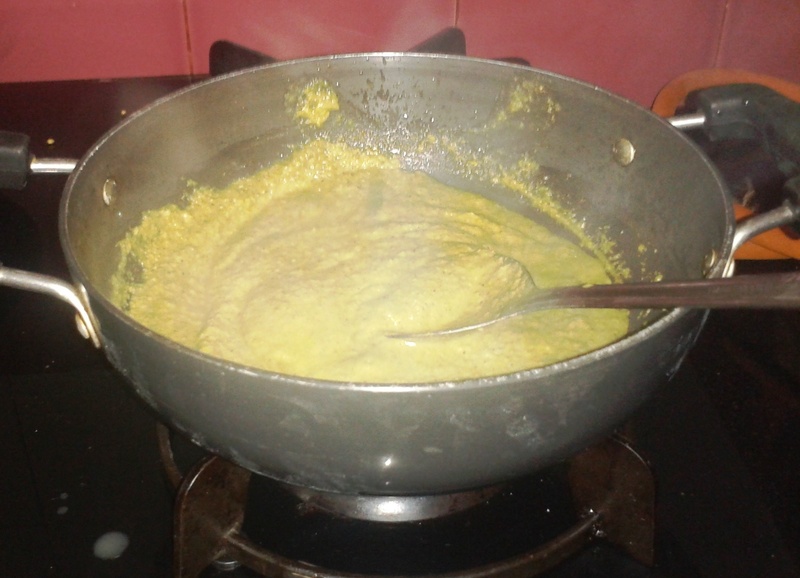 I was already six months old into marriage when I discovered that my husband and brother-in-law, Nikhil simply love this once recipe that my mum-in-law (MIL) makes. She makes amazing food and is a great host when it comes to food. Well, it’s called “Chingad Mingad”, name courtesy – Nikhil Deshmukh. And I would not want to get into the reason of why he named it that. Anyhow, so I tried this for the first time and loved it too much. And since I knew that The Man loves it too, I had to make sure I learn it as it might come in handy anytime. Ahh.. such is married life!! You always need to keep your weapons ready coz you never know when you might need them. And cooking skills – my friends – is ONE of the very important weapons. 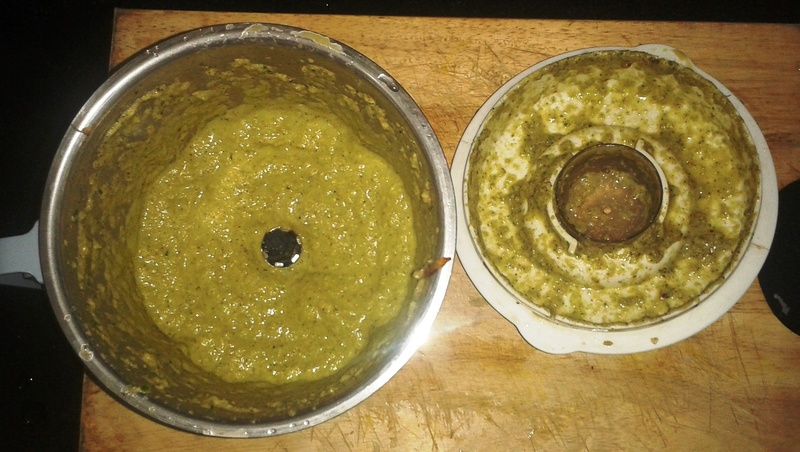 Yes… so I observed my MIL make this and I discovered this amazingly tasty SECRET masala that she puts in it. 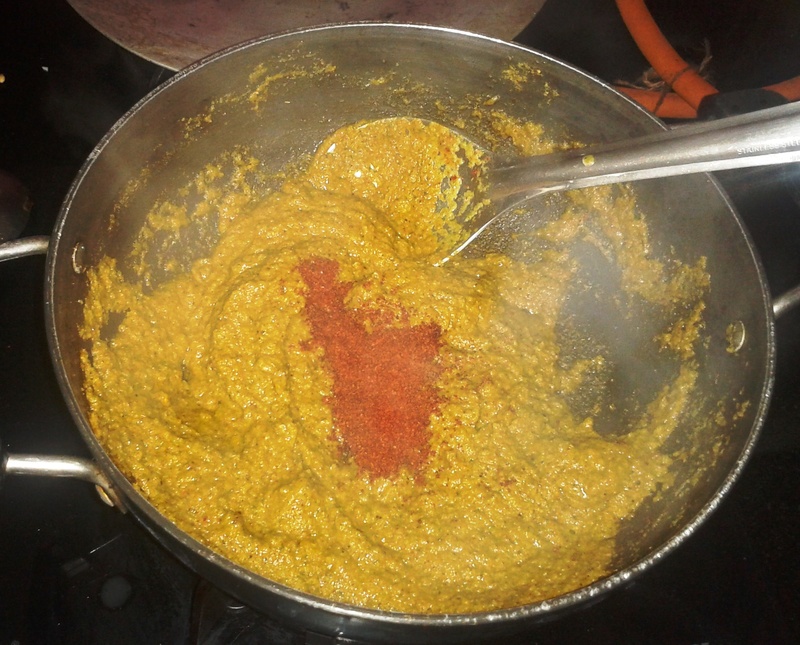 It’s like a god sent masala for all the non-veg one intends to make and is a must in kitchen especially if you want to have authentic MARATHA food. It was one of those precious gifts that MIL gave me. Like how we have a ‘pushtaini’ or a ‘khandani’ piece of jewellery that’s passed on from generations. Let me tell you, it was more than just that. 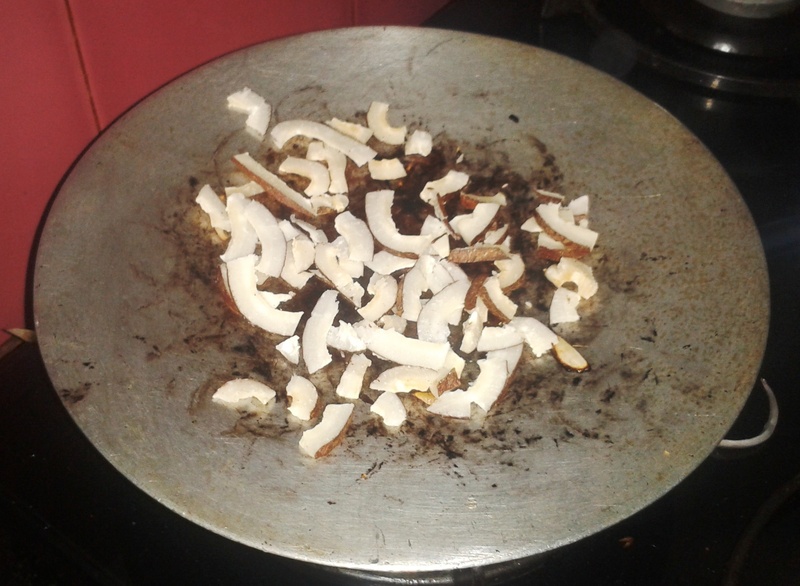 Cut 2-3 Onions into thin long slices along with roughly chopped Dry Coconut. 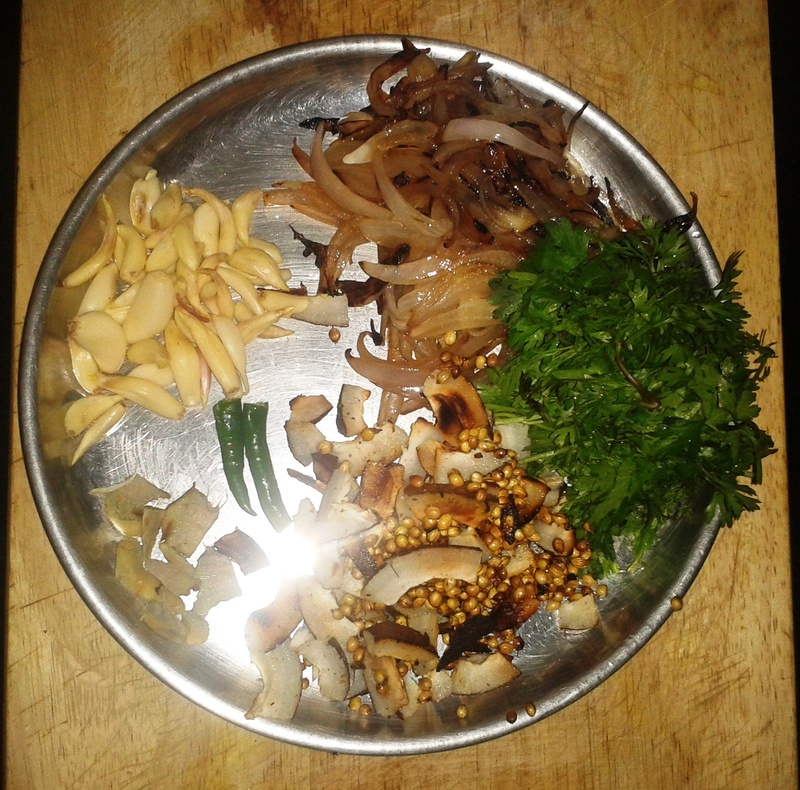 Then have some chopped coriander leaves, some coriander seeds, 1-2 stems of green chilli, roughly chopped ginger, some cloves of garlic. 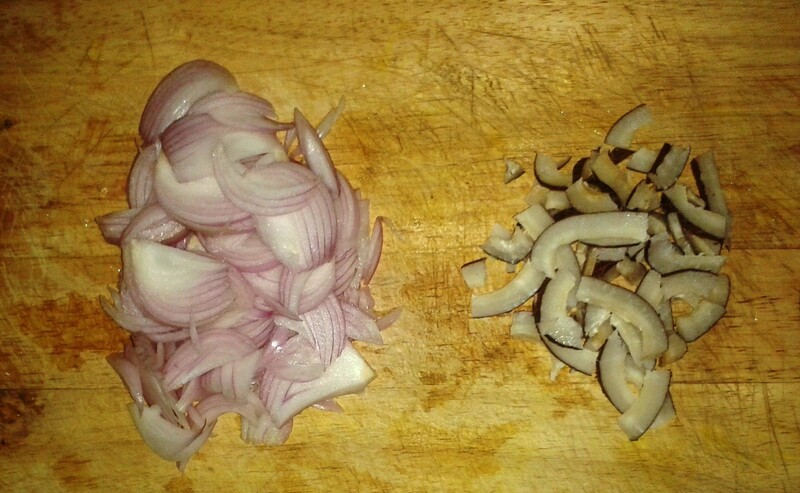 Now garlic can be more or less depending upon one’s fondness for garlic. In my house, it’s used in abundance. 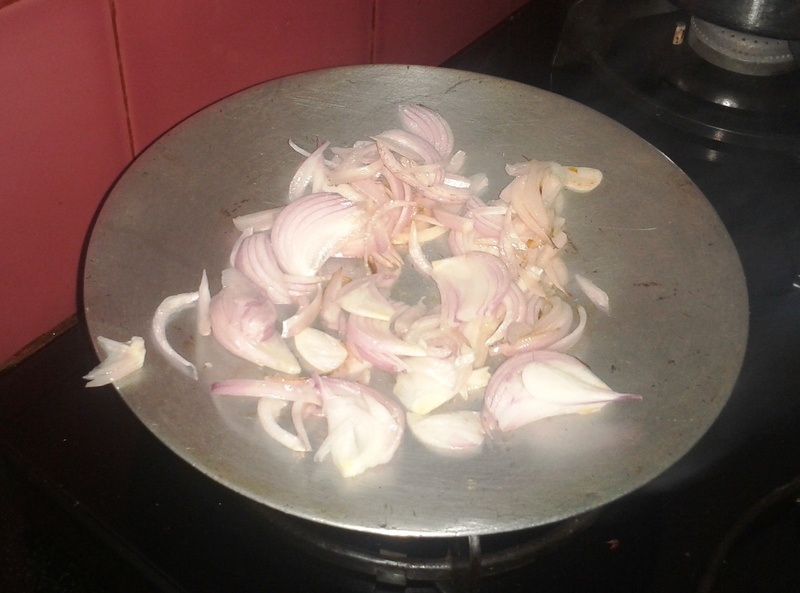 Take 2 tsp oil in a pan / tawa and put the sliced onion in it. 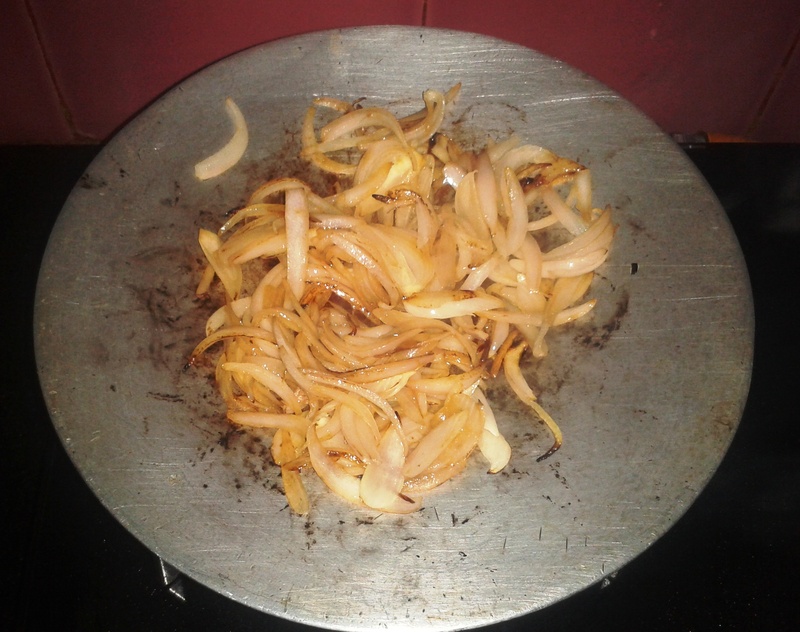 Fry the onions till they are slight brown. And try not to burn them. It’s happened with me, more than once…hence the precautionary note. 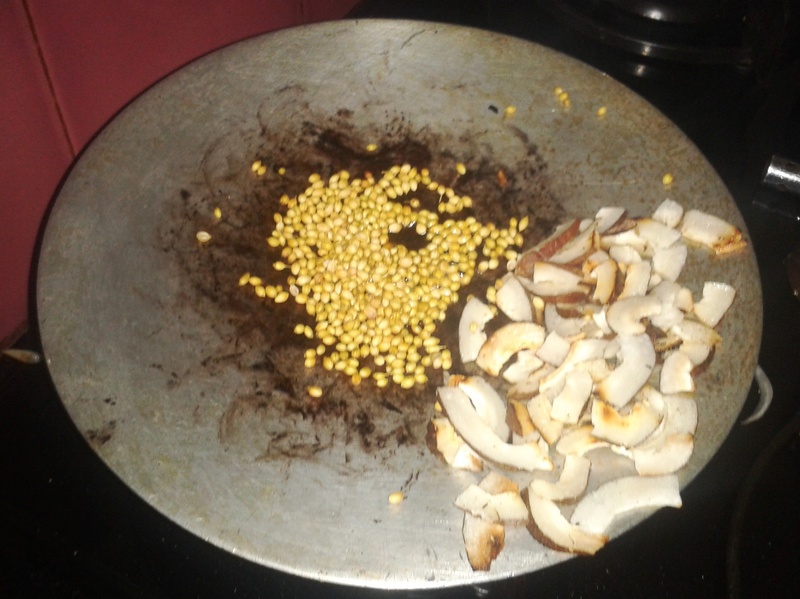 Now, in the same pan / tawa, fry roughly chopped dry coconut and coriander seeds till they are slightly brown. 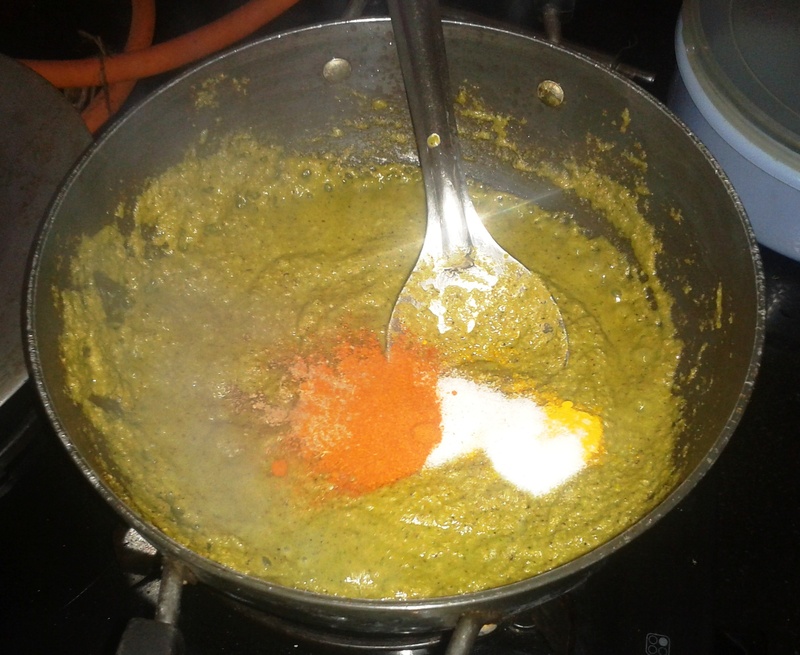 So now you have all the ingredients for the curry masala ready to go in the grinder. 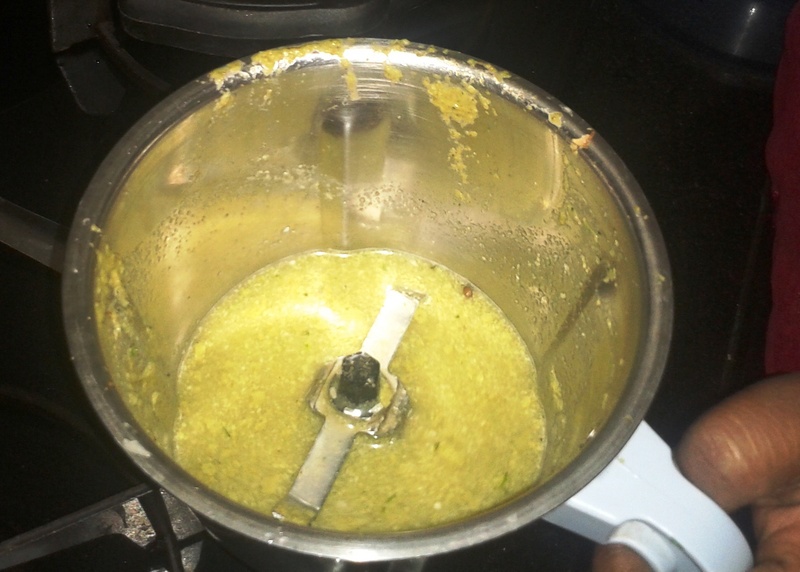 Put all the above ingredients into the grinder along with little water and grind it into a fine paste. 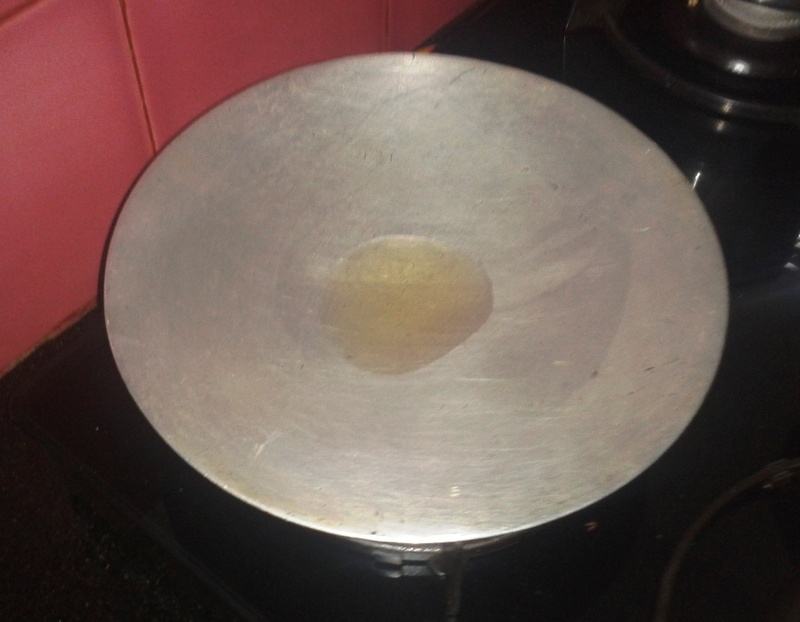 Now that your curry masala is ready, heat some oil in a pan and put this masala in. 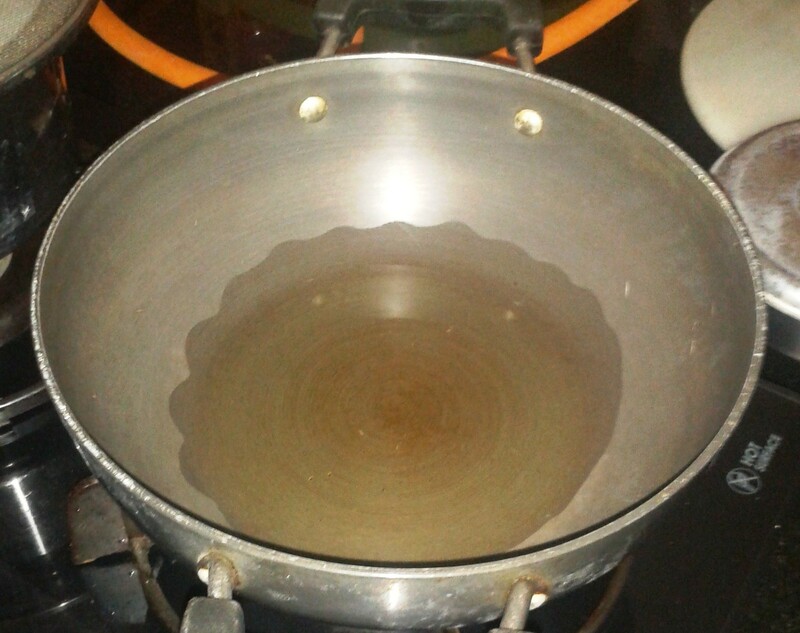 Stir the masala with the oil slowly and cook it for sometime…say 5 minutes or so. 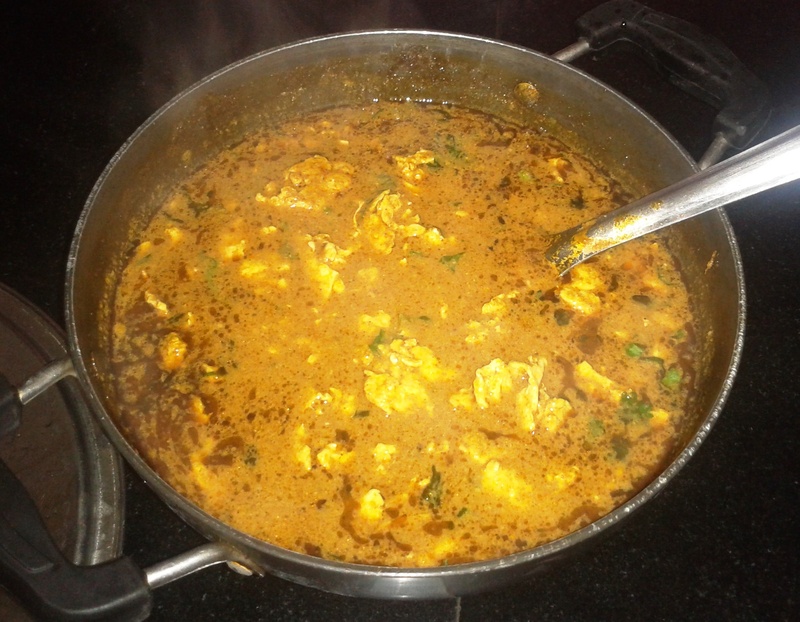 Once the masala starts leaving a little bit oil in the pan, you add all the dry spices to it. 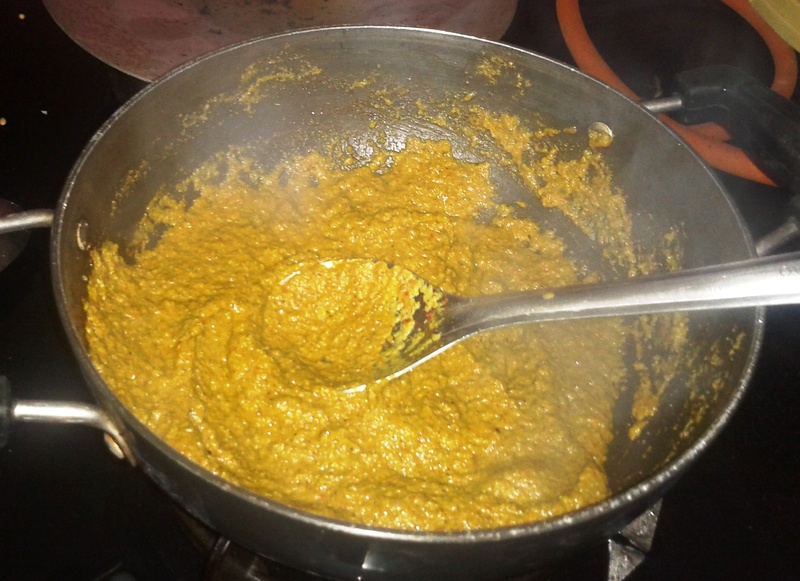 1 Tsp Turmeric Powder, 2 Tsp Coriander Powder, Salt to taste, Very little Garam Masala – I add this a bit coz it’s the one my mum makes at home. Yeah, tats true…married women tend to find everything from their mum’s home priceless, and 1 Tsp Red Chilli Powder – Now make sure you don’t add too much of this red chilli powder coz you already have 1 green chilli in it and the SECRET masala still has to go in it, which by the way has its own spicy flavour. 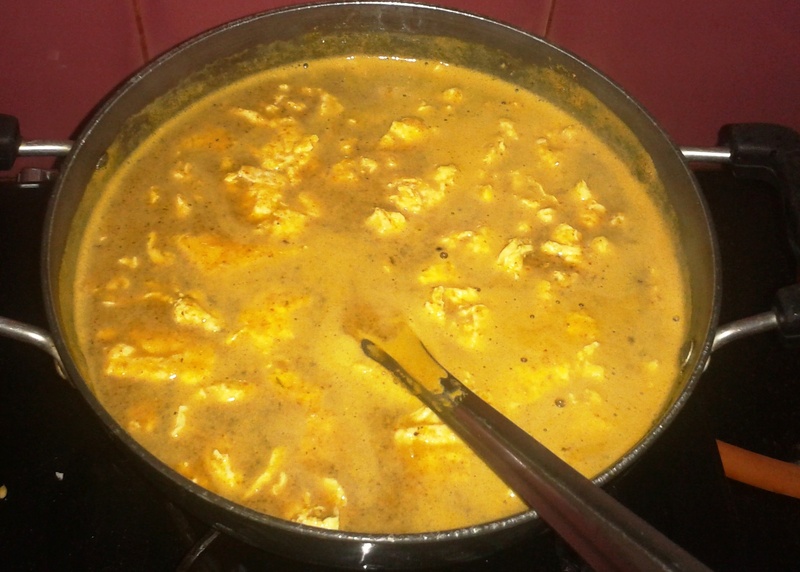 Now, it’s time to add that SECRET masala. By the way I forgot to tell you guys that its actually called ‘Kotimbiri Masala’ and you won’t find it everywhere. Well even if it was available elsewhere, you think I’d let out the family’s secret. No ways!! Yeah, so add 2 Tbsp of this masala to the pan and mix well. 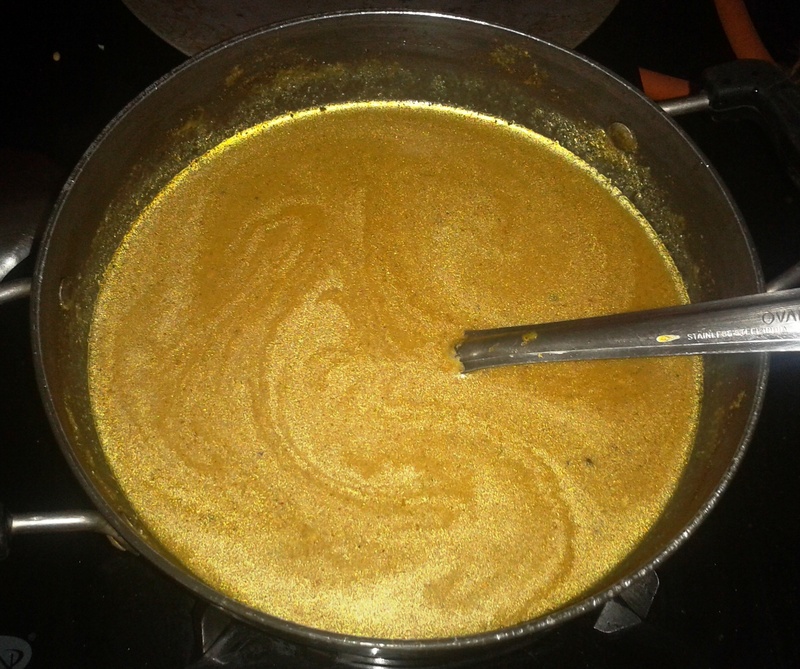 It forms a beautiful colour and gets darker as you stir and cook it more. A beautiful aspect of being a woman, is that you never like to waste even little bit of any paste in the grinder. 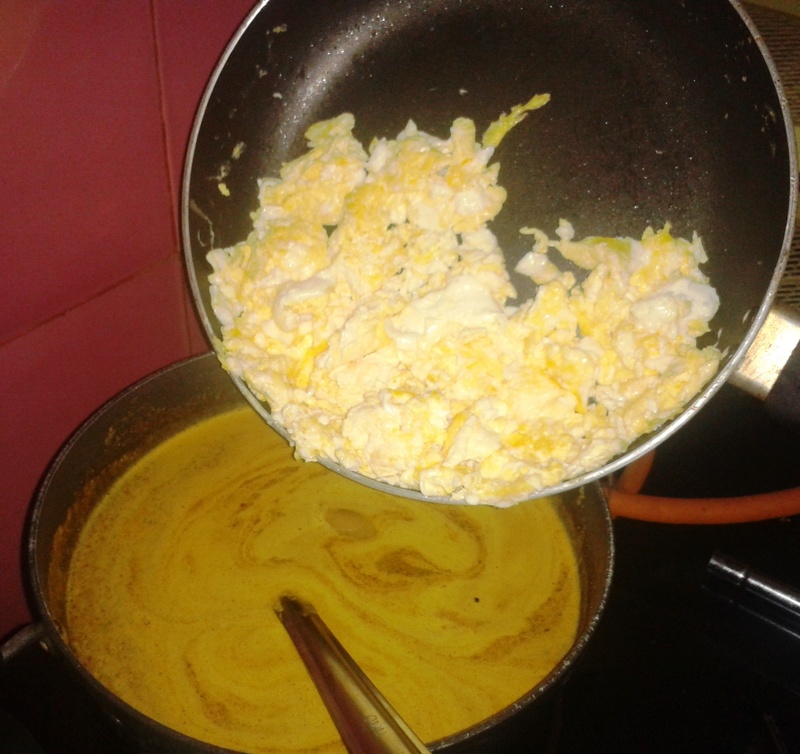 I’m sure most of our species, be it younger or older, always put water in the grinder, stir it well and then add that water to make the egg curry gravy in the pan. 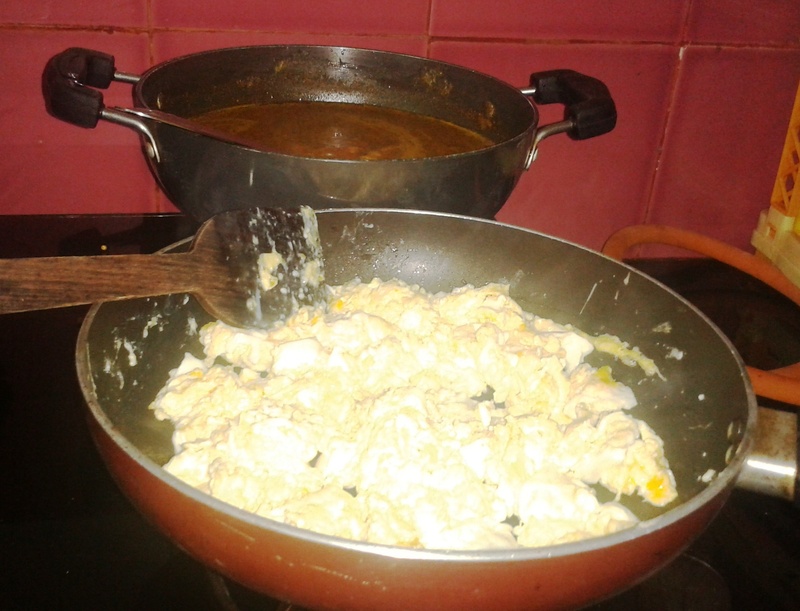 Now…for the main part of the curry – Chingad Mingad (The Scrambled Eggs). I’m sure everyone knows how to make that, but let’s have a quick glance through that. 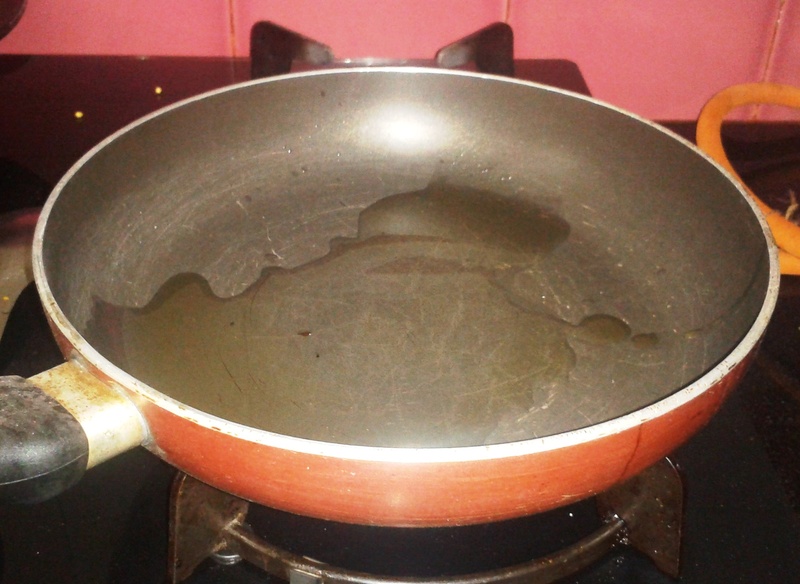 Heat a little oil in the pan, break 4-6 eggs in the pan and DON’T scramble them too much and make it into a bhurji. 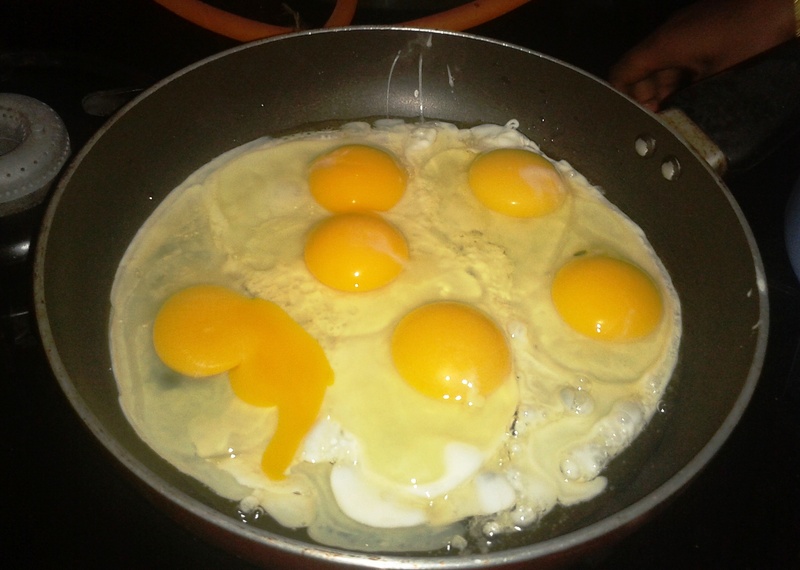 Make sure you let the eggs remain in a slightly larger size chunks. 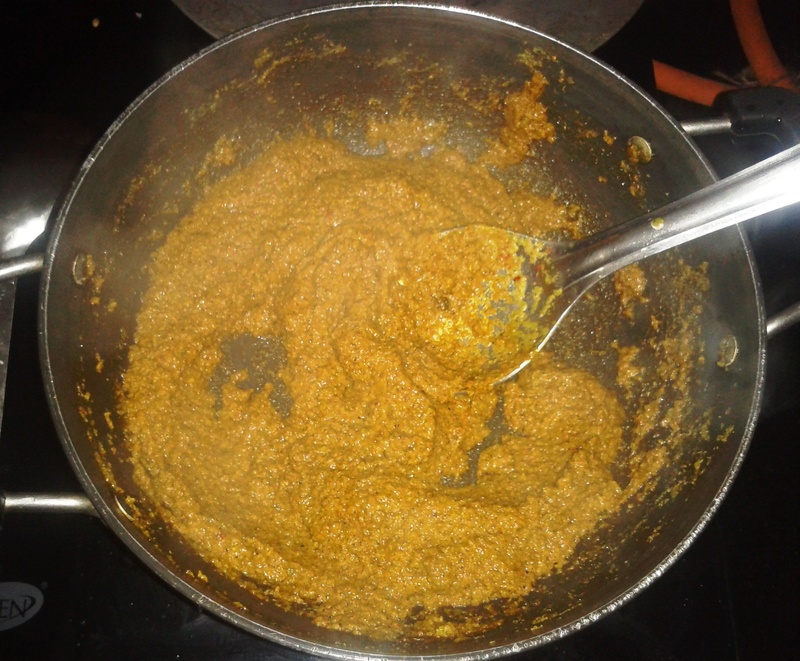 Add chingad mingad to the gravy and bring it to boil. Keep it on a low flame and slightly covered for another 5 – 10 minutes. 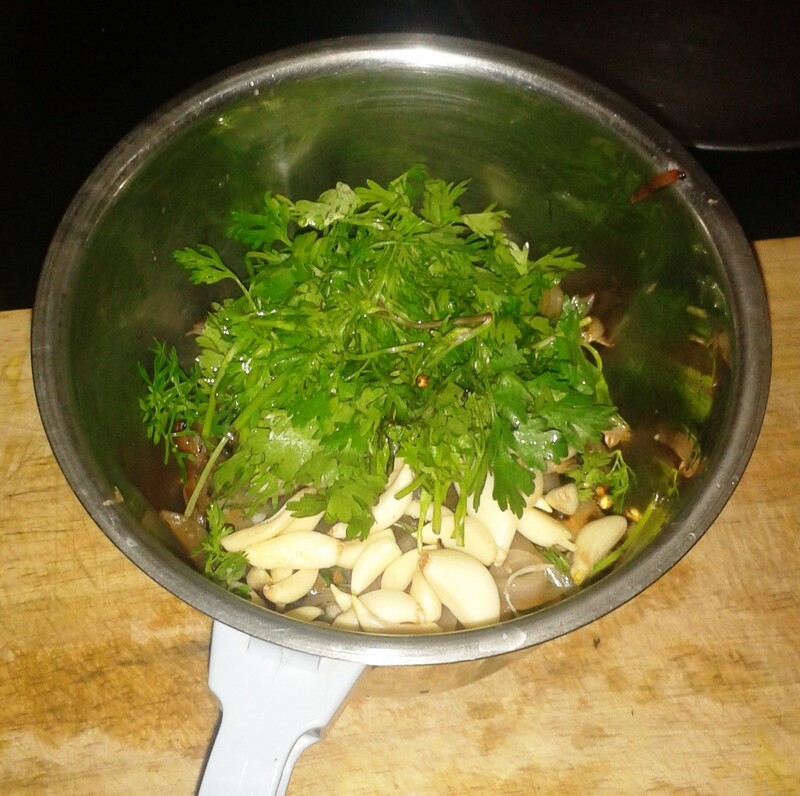 Add coriander leaves for garnishing and then serve hot with chapati / roti / fulka and you can also eat it with rice. Hope you enjoy making ‘Chingad Mingad’ as much as I enjoyed sharing it with you guys. Please leave your comments and do let me know if you try your hand at it. And probably then I would start taking orders for distributing this SECRET masala.